The 2017-18 season is into its full flow with La Liga season already into second matchday. 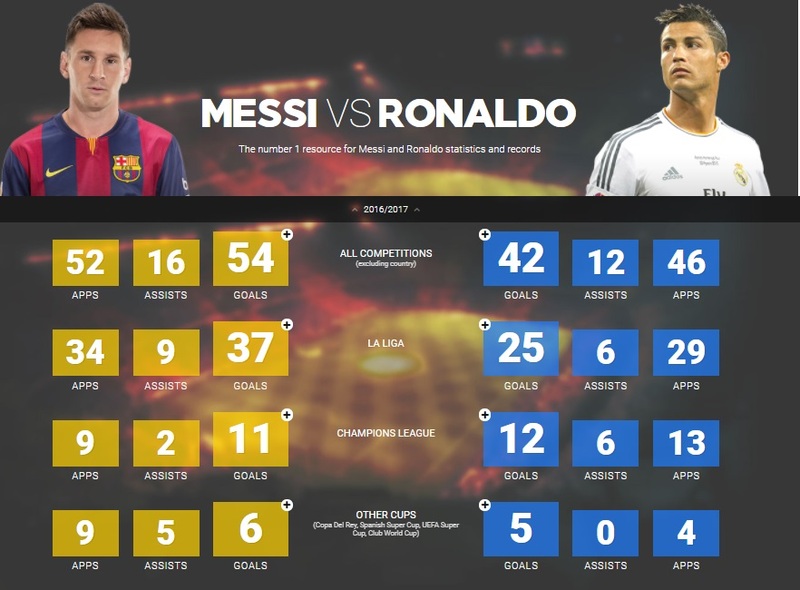 On this page you will find updated statistics of both Ronaldo and Messi this season. Probably the greatest players to have grace the world football, Ronaldo and Messi are going head to head for the last 6-7 years not only for individual titles but also helping their club and national teams to glory. But the million dollar question is who is better Ronaldo ? or Messi ?. Thats a questions which divide football fans, make them argue with friends and specially online sports websites comments boxes. 2016-17 Statistics: Below are the official stats from 2016-17 season. 2015-16 Statistics: Below are the updated statistics from 2015-16 season. 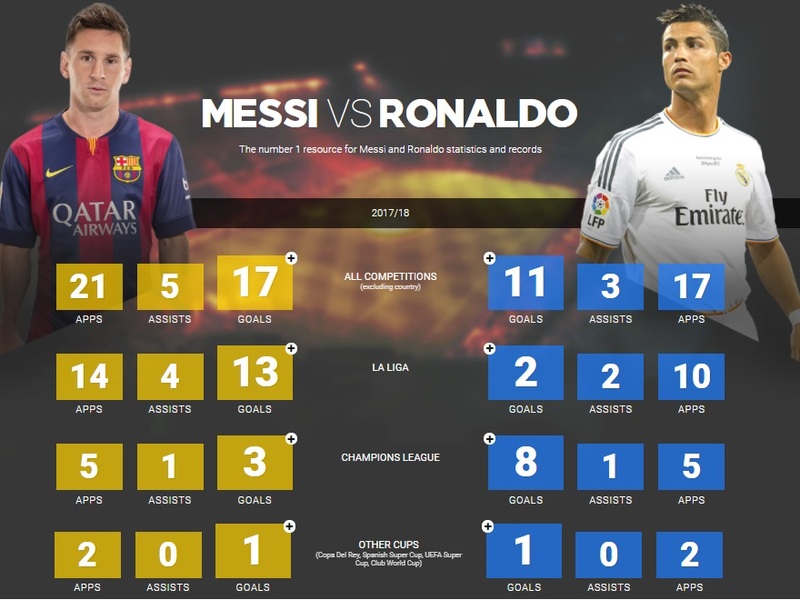 2014-15 Statistics: Below are the last season 2014-15 statistics where Ronaldo outscored Messi by 3 goals in all competitions but it was Messi who won all the trophies for Barcelona. 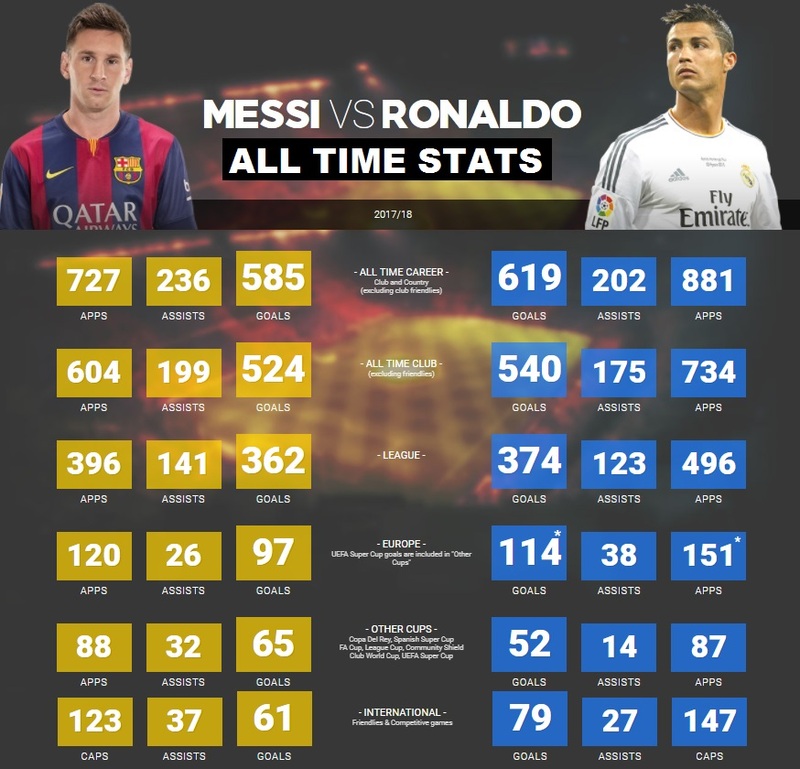 Its clear from the graphic above that Lionel Messi has slightly better goal to game ratio with him taking 0.83 matches to score 1 goal while Ronaldo ratio is not bad either which is around 0.68. If we talk about their overall Champions League performance again its pretty similar apart from Messi have superior goal ration of 0.86 compared to Ronaldo’s 0.63. Messi is now the all time highest goal scorer in champions league history while Ronaldo is second with 72 goals to his name. They both are great, Messi is better at building up attacks brining his team mates into play and can find that killer pass which can split even the water tight defences of opposition. On the other hand we have Cristiano Ronaldo who is more athletic, makes solo runs on the wings can score all type of goals. Ronaldo is a better professional, he had talent but he made it even better with his dedication to improve which we have been witnessing year after year. Messi on the other hand has a natural gift of balance and control over the football, he can turn and twist accelerate with the ball at his feet better than anyone. So before we decide who is a better player we take a look at the over all record of both players starting with the all time goal and game statistics. We will talk about these statistics and records later in the post but now we move our attention to 2014-15 season statistics as they are important going into the Ballon Dór 2015 ceremony. Or you can take look at the table below which shows the name of the title both of players have won with their teams in the last 12 years of their careers. Ronaldo of course started with a FA Cup medal in his very first year at United while Messi enjoyed huge success in his first 4-5 years with Barcelona where he won it all. and now the individual honours which both players have earned in their careers, which include young player of the year awards as well. 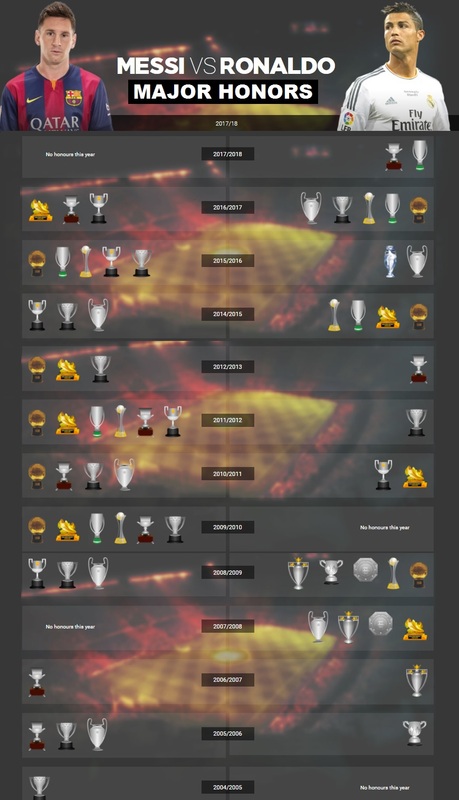 Now we move to both players records which they made and broke in the last decade or so, some of them are specific league records and some of them are all time world records. So now you have the bigger picture, Messi is two year younger than Cristiano Ronaldo and he has achieved everything a football can dream of and in 2014 world cup he was inches away winning a World Cup for his native Argentina side as he guided them to the final, but it was Germany who eventually won it but Messi went home with the Golden Ball (best player in world cup). More champions League titles, more FIFA player of the year awards, more goals, more assists and broke almost all big scoring records really do make Messi a better player than Ronaldo. It easier to judge them because they are playing in the same era unlike previous big football rivalry which was Maradona vs Pele. Personaly I think Lionel Messi is slightly better player than Ronaldo because not only his goal record is incredible but he has a bigger impact on the team he is playing in. Ronaldo on the other hand is incredible player and he is in the elite class of all time great footballers and he still has couple of years left at the very peak of his career and things might change and we might look at them differently when they hang up there boots. But so far Messi shades it for me against Ronaldo. What you think of this rivalry ? 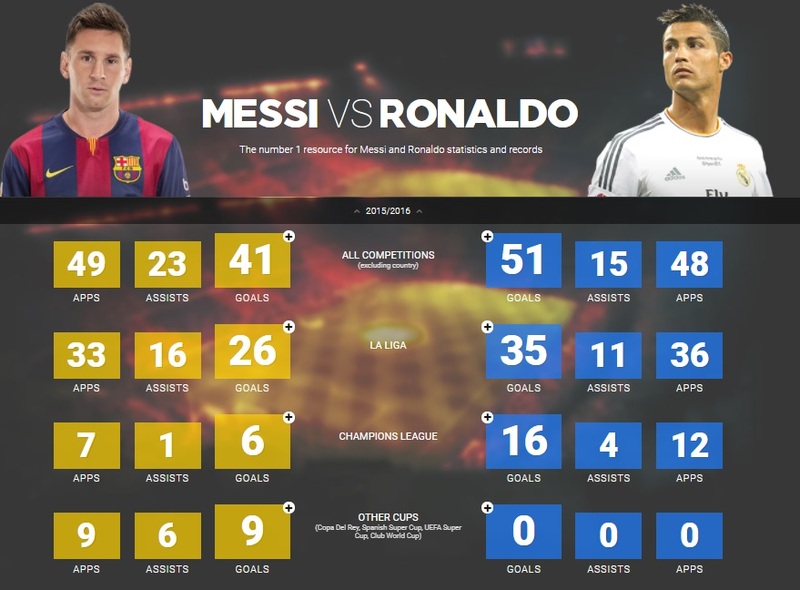 who is the better player between Lionel Messi vs Cristiano Ronaldo ? use the poll below to cast your vote and express your opinion in the comments section. messi is ze gr8 one! i cant waste my time, all i can say is that ‘lionel andres messi’ is incomparable to any one in terms of playing style and driving a ball to the net he is tallented i ever seen in football and i wish him the best of all. No doubt magical messi is greatest player of all time!!!!! Watching him play gives me so joy! I love him. But Ronaldo realy knows how to create space for himself between people and create chances just like Ronaldinho the LEGEND.